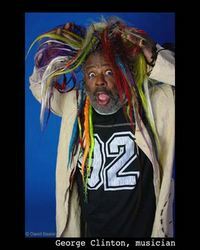 George Clinton is the all time master of funk. If you haven’t listened to any of his stuff, you are missing out on some amazing music. One of the reasons I love Dr Dre is that he samples so much from George’s bands – Parliament and Funkadelic. But back to George Clinton. There are three records that I spent this week debating back and forth between. The first is Parliament’s Mothership Connection. This is the most pop music oriented of the three essential George Clinton records. The title track is terrific and there isn’t a bad song on it. The second is Maggot Brain. This is the best of early Funkadelic. I think Eddie Hazel’s guitar solo on the title track is one of the best guitar solos ever recorded. 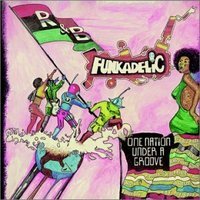 But my addition to the Top 50 this week is One Nation Under A Groove. It’s Funkadelic at their best. My friend John Bernstein turned me on to this when I was in business school and I have loved it ever since. My favorite George Clinton song, Who Says A Funk Band Can’t Play Rock? !, is on this record. The title track is also fantastic. And as a bonus, the record ends with a live version of Maggot Brain. It doesn’t get better than this for funk music!